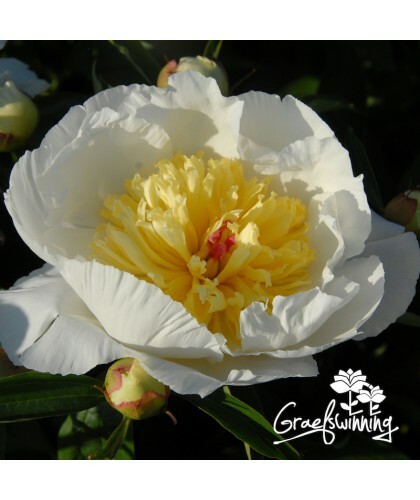 Paeonia herbaceous hybrid "Lavon". Layers of pink petals and yellow staminodes form a gracefully shaped double flower. Stems are long and require some support to hold the clusters of large flowers. Flowers are softly scented. It is a healthy variety which may need some years to fully establish. But definitely worthwhile the wait. 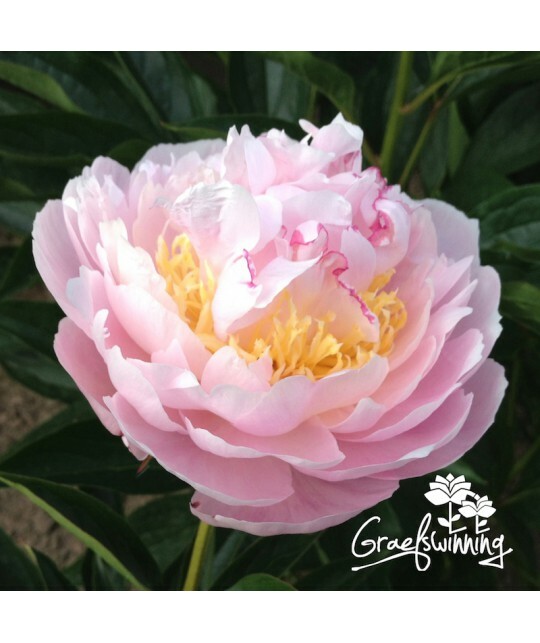 Lavon became a true peony enthusiast working alongside Don Hollingsworth in developing a thriving commercial peony nursery in Maryville. During those years she immensely enjoyed attending the annual APS conventions, kindling dear friendships and promoting Hollingsworth originations and propagations. She welcomed me in their home and sharing her love for dogs and peonies made for easy conversation. Parentage P. "Nippon Gold" x P. "Cytherea". 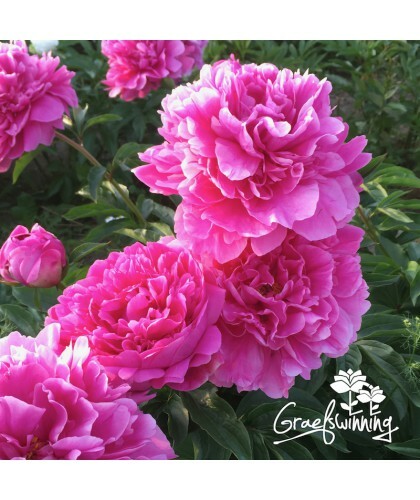 Best in show – Grand Champion APS Convention 2018 - by Therese from Brooks Gardens Peony Farm.